Implementing surcharges on new diesel cars to drive air quality ambitions could actually backfire, in particular with regards to fleets. That’s the warning from the RAC ahead of this month’s Autumn Budget, which is expected to bring new diesel taxes for cars. As announced in the Spring Budget and reiterated since then, the government is planning to implement changes to the way diesel vehicles are taxed as it looks to tackle continued air quality concerns. 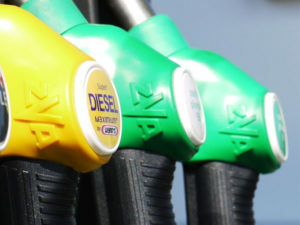 According to a report published yesterday in the Financial Times, government aides have now confirmed a diesel tax will be announced in the Autumn Budget as hinted at in the recent Clean Growth Strategy. The news has been welcomed by environmental lawyers at ClientEarth, which this week confirmed that it’s taking the government back to court as it calls for action over “holes” in the current air quality plans, in particular calling for changes to the tax system to favour cleaner vehicles alongside a national network of charging Clean Air Zones. However, the RAC has highlighted that any tax on new diesels may see drivers and fleets rethinking vehicle replacement plans. With the Euro 6 standard having come into play just over two years ago – in September 2015 – for newly registered cars and vans, the organisation said the tax could inadvertently lead to older, more polluting vehicles staying on the roads for longer. Chief engineer David Bizley said: “We are concerned that those who drive long distances, business drivers especially, might consider sticking with their older diesels given the superior economy they offer. It would be a terrible misjudged ‘knee-jerk’ reaction which could backfire and have the unexpected effect of encouraging these owners of older diesels and fleets not to upgrade to newer, cleaner diesels which offer significant benefits in reduced emissions.